So what we can get from this is that content marketing is a strategy to drive “profitable customer action” (what we usually call “sales”) by creating material, (content), that is relevant and useful to a prospective customer and helps them “solve their issues”. Another way of expressing this concept is to think of it as being “meaningful” to the potential customer as indicated in this blog. The first thing to note here is that this marketing strategy is the direct opposite of the traditional old school sales approach where the message was all about the features and benefits of a particular product. Content marketing is part of an inbound marketing approach which focuses first on the customer; their issues, their problems, their pain points and their needs. Then, secondarily, presents a particular product as a way to address, solve, lessen the impact of, or ameliorate those pain points, problems, issues and needs. At KBK Communications we utilize content marketing as a key part of our digital marketing strategies. This approach positions you, our clients, as a resource when and where your potential customers may be seeking answers and/or solutions through their buyer’s journey. You want to meet your customers at the top, middle and bottom of the sales funnel by creating awareness, promoting consideration and supporting a buying decision in favor of your particular product, designed to meet their particular need(s). To help us identify and speak to those potential customers you’ll want to develop specific buyer personas. These personas help to personalize the target audience that the content material is being addressed to and to provide a mental image of the individual. This makes it easier for the writer to converse with that particular targeted audience. The tone and tenor of inbound digital marketing content is typically conversational. While it may be clear, concise and professional, it is not usually highly academic or super technical. The marketing content material may, and possibly should, reference technical or academic research papers, but should also have the feel of conversing with an individual. As an example, this Frontiers in Oncology paper does a fine job in presenting statistically based facts in a professional way, but it is not conversational. It does not speak to a particular persona. One of the key characteristics of content marketing material is that it is not “salesy”. In being solution oriented, the content should be informational and instructional, especially at the top of the sales funnel. It should provide an identification of the problem that the potential customer is experiencing along with a presentation of how to address and correct that problem. Only at the end should mention be made that the creator of the content can provide a product that can fulfill that need. The big companies with the big marketing budgets can get their name in front of the general public, including your potential buyers, with an advertising spend that smaller companies cannot afford to compete with. 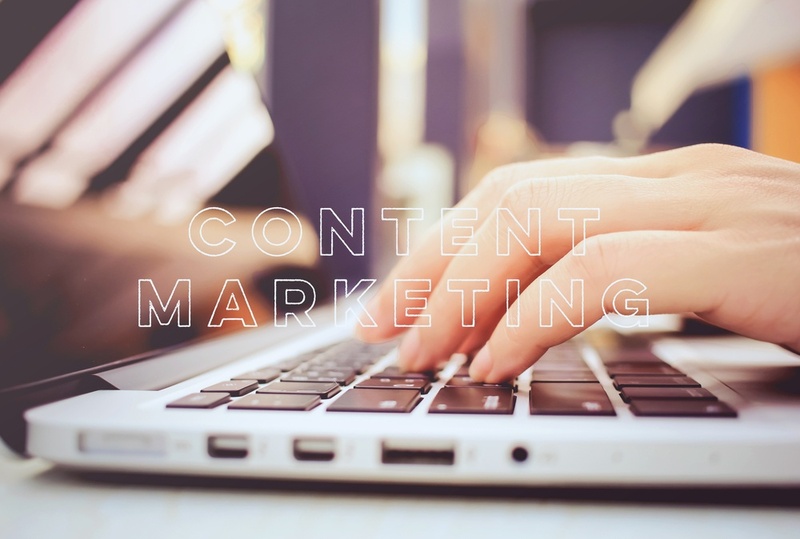 Content marketing can level that playing field by creating the opportunity for smaller and emerging medical device companies to get their solutions in front of potential buyers by identifying and responding to their potential customer’s critical issues. Posting an outbound marketing message through various media outlets can be very expensive. Radio and TV time, print media blocks and billboard ad costs can mount up quickly; and they don’t necessarily reach your intended targets. Even a pay per click (PPC) campaign would be more cost effective and provide answers to questions, challenges, and solutions. A content marketing approach with good SEO ranking will be found by the potential customers you are looking for at a fraction of the cost. To sum it up, you need to think of content marketing as a way of conveying a message, answering questions and providing solutions that will better support attracting, prospecting marketing qualified leads, and in turn, nurture them into sales qualified leads. It is very similar to how your sales reps would engage with a potential customer. They are going to build a relationship as someone the buyer can trust, and put themselves in the shoes of the potential buyer by asking probing questions: “what is the problem?”, “what are you doing about it currently?”, “how is that working out for you?”. Then by suggesting some other, “proven”, alternatives which may be in the form of established best practices, evidence-based practices or recently researched outcomes. And only then by noting that their product has been designed to provide the answers the customer has been looking for. Since content marketing does not have the benefit of being interactive in the way that a sales call is, it needs to address a particular pain point, discuss different ways that it can be resolved and, only then, present the company’s solution to the issue. For more information on how KBK Communication uses inbound digital content marketing as an extension of your sales force, contact us here.